For over 50 years, Aircraft Bluebook has been providing valuable information designed to give the most accurate, comprehensive and timely assessment of the aircraft market. 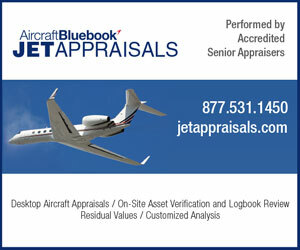 Aircraft Bluebook At-a-Glance has reviewed the current market status of the Cessna Citation CJ4 business jet. Research for this study was obtained in part from Aircraft Bluebook, Aircraft Bluebook’s Historical Value Reference, the FAA’s registry website and various trade services. The active Citation CJ4 fleet is approximately 264 aircraft currently. At the time of this writing, approximately 10 CJ4s, representing 3.7 percent of the active fleet, were reported for sale, with the average time on market likely more than 200 days. Download the full spring 2018 issue of Aircraft Bluebook Marketline to read more. Subscribe to the Aircraft Bluebook Marketline newsletter. Aircraft Bluebook, the premier resource for business and general aviation aircraft values, is convening the inaugural Aircraft Bluebook Market Values Roundtable in Los Angeles on Oct. 5, 2016. Aircraft Bluebook editors and other industry experts will weigh the elements that factor into aircraft market values, especially the pressure points that affect residual values of business jets. Registration is open to aircraft OEMs, suppliers, financial institutions, attorneys, consultants, operators and others who are involved in the pre-owned aircraft community. Participants may expect to leave the meeting with unique insight to incorporate into their own forecasts of future values of aircraft, Frank Craven, Aviation Week Network managing director, business aviation, says. The Falcon 7X fleet is approximately 255 aircraft. At the time of this writing, approximately 25 Falcon 7X aircraft, representing approximately 10 percent of the fleet, were reported for sale. Privacy Statement | Terms of Service | Copyright © 2018, Informa USA, Inc. All rights reserved.